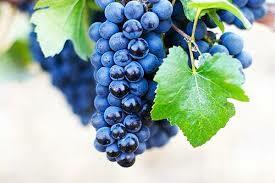 Pinot Noir is very fickle and can have quite a range of flavors depending on the vintage and where it’s grown. Here are some tips for the differences between the major Pinot Noir production areas below.FRANCE In Burgundy, Pinot Noir is usually very herbaceous and light .Earthy aromas dominate including smells similar to a brown paper bag full of mushrooms or wet leaves. Along with the earth are faint floral smells of roses, violet and a smell of fruit that leans towards raw, freshly picked cherries.GERMANY Germany produces Pinot Noir right next to the border of France in a wine region called Ahr. These wines tend to offer more raspberry and sweet cherry aromas along with a healthy portion of earthiness.ITALY Pinot Noir grows best across northern Italy where the climate is much cooler. The fruit flavors of Italian Pinot Noir are similar to that of France, but the earthy flavors lean toward smoke, tobacco, white pepper and clove. Pinot Nero, as the Italians call it, tend to have more color extraction and higher alcohol.UNITED STATES CALIFORNIA PINOT NOIR A giant leap in flavor and intensity from the Pinot Noir in France and Germany, California Pinot Noirs are bigger, lush and more fruit-forward. Look for flavors ranging from sweet black cherry to black raspberry and secondary aromas of vanilla, clove, coca-cola and caramel. OREGON PINOT NOIR Oregon Pinot Noir is usually a few steps lighter in color and texture than California Pinot Noir; and it’s usually more tart. Expect cranberry, bing cherry fruit flavors with secondary aromas of truffle mushrooms and sometimes even a green dandelion stem flavor.NEW ZEALAND On the southern island in New Zealand there is a plateau called Central Otago that gets enough sunshine throughout the season to produce rich Pinot Noir in a style similar to California. What makes New Zealand Pinot Noir unique from California Pinot is stronger spice and gamey-meaty aromas along with loads of fruit.AUSTRALIA Pinot Noir doesn’t grow very well in Australia except for some locations in Western Australia. Expect sweeter fruit notes leaning towards blueberry and even blackberry but in a spicy-gamey tinge similar to New Zealand in the aroma.SOUTH AMERICA South American Pinot Noir has a lot of similarities to Oregon or California Pinot Noir. The aromas lean more towards flowers like violets, roses and vanilla than fruit. this offers fresh raspberry and red cherry aromas, easy to enjoy. A sweet and fruity, with notes of raspberries, cherries, and strawberries. It carries delicate and light floral flavors with a feel of silk and supple tannins. Aromatic and elegant, generous and supple, this tastes rich while feeling polished and complete. It offers aromas of juicy, ripe raspberries and strawberries.